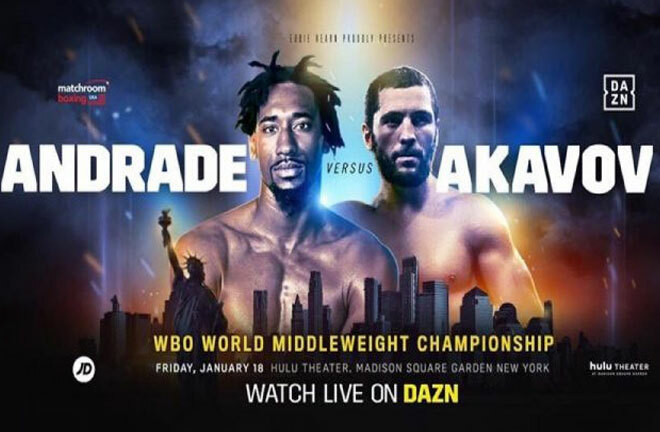 DAZN kick off their 2019 with a show at the theatre at Madison Square Garden, New York this Friday (18th January). Sky Sports is the place for UK fans to catch all of the action. 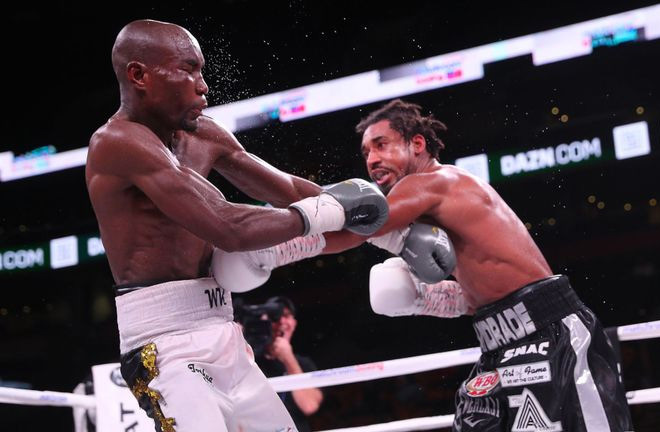 Top of the bill is the first defence of Demetrius Andrade’s (26-0, KO16) recently won WBO Middleweight Title, a Title that he acquired in acrimonious circumstances in October 2018. He was scheduled to meet Billy Joe Saunders that night in Boston, but the Hatfield man infamously failed a drug test, and was refused a licence to box by the Massachusetts Commission a week before the contest was due to take place. 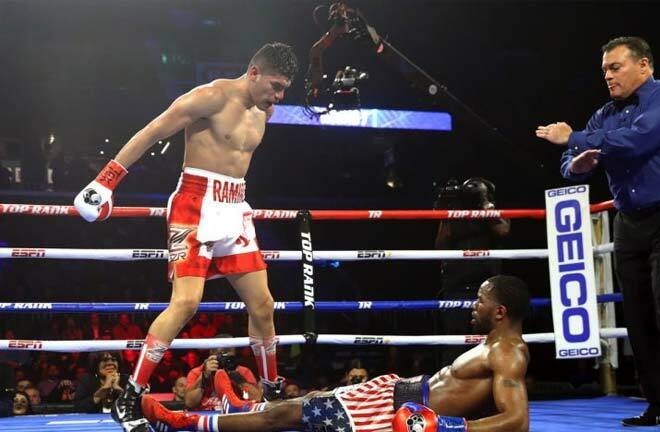 After successful lobbying by Andrade’s promoter, Eddie Hearn, Saunders vacated his belt, and in stepped unknown Namibian, Walter Kautondokwa at short notice to contest the vacant Title. Kautondokwa was dropped four times, but managed to hear the final bell, as Andrade cruised to a very wide win on the cards. Andrade is a two weight World Champion having reigned as the WBO Champion at Super Welterweight in 2013/14, before capturing the WBA Title with a split decision win over Jack Culcay in Germany in March 2017. The Providence, Rhode Island southpaw has had frustrating periods of inactivity in the past, so it’s good to see him out again so quickly after his last fight. Andrade’s opponent this Friday will be fellow left hander, Artur Akavov (19-2, KO8), who previously failed in a bid for the same belt in December 2016 against the aforementioned Saunders. 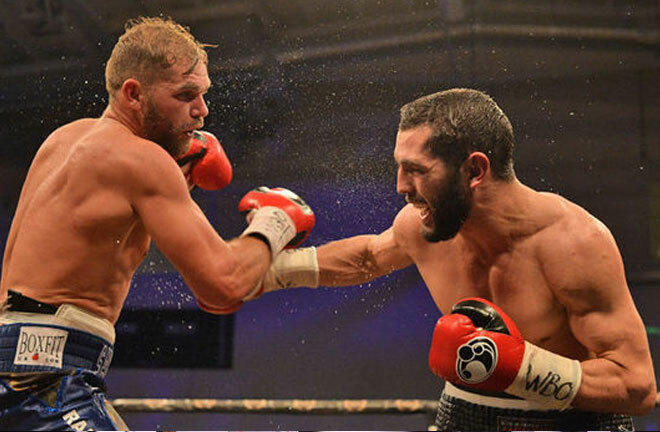 Their contest at the Lagoon Leisure Centre in Paisley, Scotland, was a dour affair, with the Brooklyn based Russian having more than his fair share of success against a sluggish Saunders, but he was slightly unfortunate as Saunders retained his Title with a unanimous points win. A professional since 2011, Akavov has only been seen three times since the Saunders reverse. Five months after his challenge for the World Title, he very nearly came unstuck against the then 14-13-1 Mexican, Josue Obando in Phoenix. Over eight rounds, he squeaked past Obando via split decision. 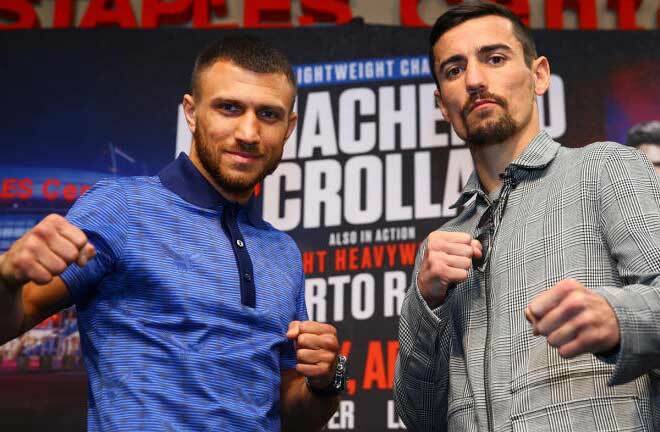 In his last fight, he picked up the WBO International Title with a close but unanimous points win against Gonzalo Gaston Coria in Riga in May last year. He won by one point on two cards, and by three on the third over ten rounds.